Click to see what our experts have to say. When President Obama delivered his final State of the Union address in January, he charged Vice President Joe Biden with making a decade's worth of advances in fighting cancer in just five years. The Cancer Moonshot, as it is called, comes at the right time, says Winship's Executive Director Walter J. Curran, Jr. "Had a president announced this 10 or 20 years ago, I think cancer researchers' optimism about how much we could do in the final year of a presidency would not be anywhere near the level it is now." 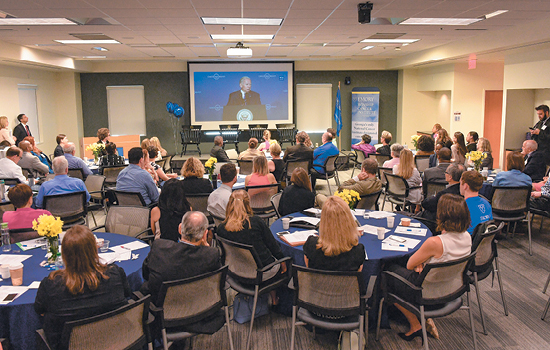 In June, Curran presided over a standing room only crowd during a special Cancer Moonshot Summit at Winship that attracted more than 100 clinicians, researchers, advocates, public health experts, survivors, caregivers, and even a former NFL linebacker. The event was one of 10 regional summits held across the country at the same time that the Vice President convened a session in Washington, DC. 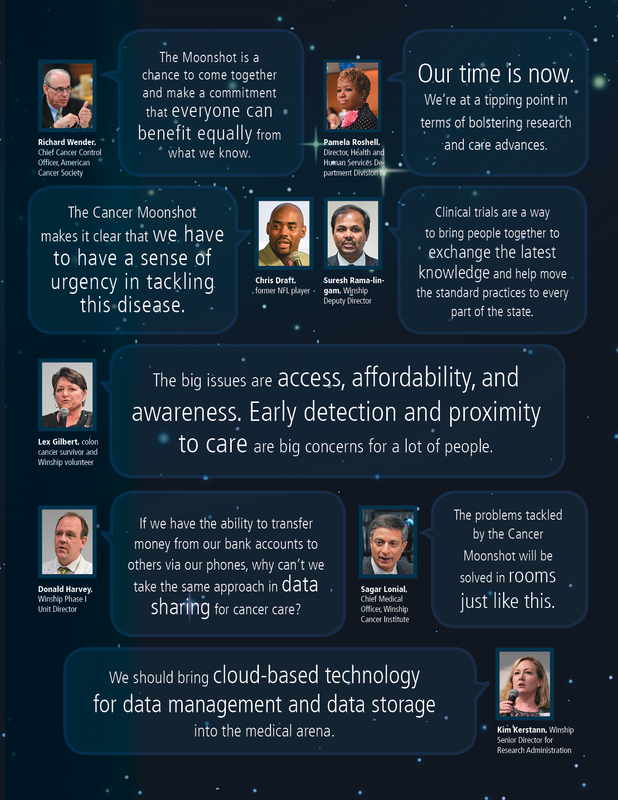 Set up at roundtables, the attendees tackled tough questions like how to unleash the power of big data on medicine, how to improve delivery of care to underserved communities, and how to spur more scientific discoveries in cancer. 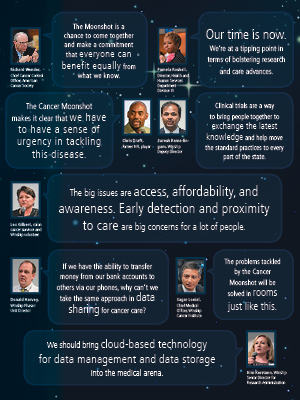 The final recommendations from the Winship group were shared at the end of the Summit and later with the White House Cancer Moonshot Task Force.